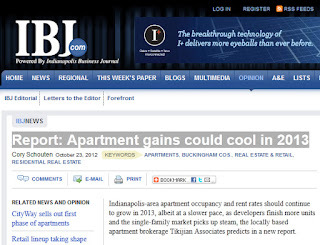 In the news: "Report: Apartment gains could cool in 2013"
Check out the today's IBJ. They have insightful quotes from George and discuss some data from our 2012 Indiana Apartment Market Brochure. 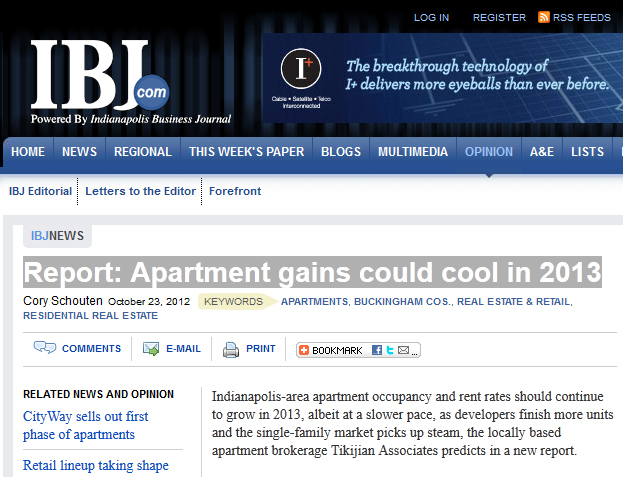 Click here to download this year's report or check out additional Indiana apartment market data. New Apartment Market Overview Available NOW!